Our Internationally acclaimed senior Master Practitioner and Coach trained in the highly praised Phil Parker Training Institute, where she graduated in Neuro-Linguistic Programming, Hypnotherapy and Life Coaching, Peggy is a member of the British Institute of Hypnotherapy the ANLP (Association for NLP) and is also accredited by the ICF (International Coaching Federation) as one of the very few Master Certified Coach (MCC). As an Advanced Practitioner, Peggy has also taught the Phil Parker Lightning Process for many years internationally, helping hundreds of people to recover from illnesses such as M.E, CFS, depression and anxiety. Peggy has delivered training in NLP and Hypnotherapy for many years at the Phil Parker Training Institute and has been a trainer with the cutting edge Coach training company Animas centre for coaching where she delivered training in Health, Relationship, Transactional Analysis and Cognitive Behavioural Coaching. Peggy also graduated as an NLP Coach Trainer with the internationally acclaimed NLP coach Sue Knight and has created her own NLP training school, the Salus Academy, where she runs courses built on her philosophy and passion for Person-Centred Integrative NLP and Hypnotherapy course. On the therapeutic side, Peggy worked for several years in association with psychotherapists to deepen her knowledge of the psychological issues faced by many people. Peggy’s deep insight and understanding into the human mind helps her to tailor treatments for each individual’s specific needs. In addition to being a Hypnotherapist, Peggy is an AAMET Level 3 accredited advanced certified EFT practitioner, a CBT practitioner certified by the International Association of Neuro-Linguistic Programming and Coaching and combines all those tools in a unique Person-Centred style. Peggy has also coached performing artists for over 15 years. In this field she has developed a particularly insightful approach to dealing with psychological limitation in performances, interviews, exams and public speaking. She holds a Postgraduate degree in Advanced Performance from the Royal College of Music in London and from Paris Conservatoire. Fundamentally, Peggy is a firm believer in the mind and body connection and understands through her own experience the importance of treating illnesses with a comprehensive approach. As a result, she established Highgate Holistic Clinic, a complementary health centre in North London, where she is passionate about sharing information and education around the mind-body connection and encourages a more natural and holistic based approach to ‘wellness’, both emotional and physical. Julia Seibold coaches her clients to see their world in a different light. 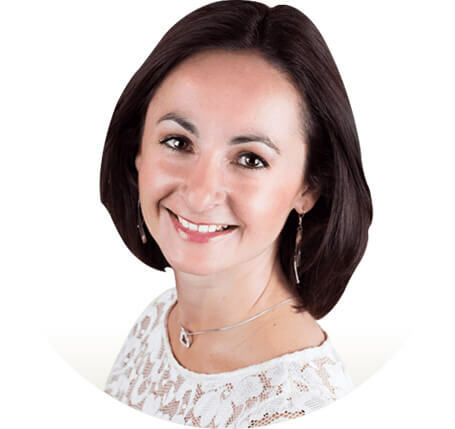 She calls it New Life Perspective; Julia trained at the Salus Academy and her approach is based on the unique Person-centred Integrative NLP and established by Peggy Guglielmino. Clients receive bespoke experiences, tailored to their individual needs and goals as they commit to going on a profound journey. By being a Master in this field Julia is able to transform the life of her clients, to create Wellness, Happiness and Fulfilment. Julia believes ‘Happiness is Homemade’. She is passionate about the power of words, and empowers her clients to live and achieve their dreams, to become self-aware and to reach their highest potential. In addition to working at the Life Therapy Centre, Julia has her own coaching/therapy business, Mind You. She draws her coaching experience from working with mainly women and children in Dorset since 3 years, works via 1-2-1 or skype. In her early 20’s, Julia has been exposed to self-development and communication training through Landmark Worldwide, which led to transformational breakthroughs, the journey has been ongoing and her life expanded. She wants her clients to drive their own life. For her previous career she graduated with the Diploma of Sports-Economics in Germany and worked in Tourism, Sports-marketing and Public Relations with clients from around the world. Her family is closest to her heart. She creates her Happiness by living an active, healthy and outdoor lifestyle, and loves to laugh. She is Ambassador for the Creative Women in Business Network, Dorset. Fill in the form online to request more information or make an appointment.